This is where I am lost. When does the uC know that the data register has been loaded? Can I assume that once the device acknowledge has been sent that the data is already in the register? Second question is for a sequential address read. Order of operations is the same as steps 1-4 as noted above. Except...after the uC receives the first data byte, there is an acknowledge to be sent from the uC to the eeprom. This is how the eeprom knows to load another value into the TWDR register. So, how does this work? What register is loaded with what value in the ATMEGA16 which will be used to acknowledge the eeprom? There are many examples of code for a 24Cxx eeprom. The 24C512 needs a two-byte address_register instead of the single byte of the smaller 24Cxx eeproms. Once the address_register is set all reads or writes increment automatically. So you can read forever if you wish. However you MUST clear TWEA for the last byte that you read. Thanks David. So I assume that you are familiar with the chip. So the question is... when can the uC read the TWDR register? How does the uC know when the next byte is ready to read? Somewhere in my code I have to put in a line that says data=TWDR. I need to know how to time this so that I am getting the new data as it is being clocked in. Try downloading example code by googling "Fleury TWI" or "Procyon TWI" or just reading the Atmel application notes. The AVR data sheets also show the sequences. As far as the Slave is concerned once it has received a SLAVE_R address, it knows that it is going to return the next data to you. Study the working example code, and THEN ask quesions about any part you do not understand. Read the question, THEN try to answer it. This isn't the attitude that a person asking for help should take. Knowledgable viewers seeing this may decide to not get involved. give the inquirer a better understanding, which may help with issues developing later in a project. without asking for help. Being dependent on others for solutions is not very satisfying. Point well taken. My response was rude. 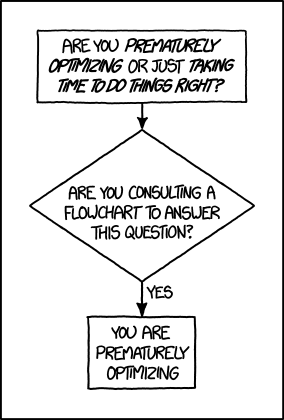 But you probably shouldn't assume so much about the questioner. If you have experience with this chip, please take a moment to look at my code below. I am trying to read data from a serial eeprom AT24C512. All of the status codes indicate that my code is working properly. This is also true for my WRITE function. But when I try to read, I get a value of FF for every memory location. I have included my WRITE code and my READ code. Can someone please explain what I am missing in my READ code? Any help would be appreciated. PS.. Thanks in advance, but I am not looking for a pre-made function to read and write serial eeprom. I am trying to understand how the chip interfaces with the microprocessor. 1. Please can you edit your posting so that the <<code>> tags are in the correct place. 2. You will find debugging a lot easier with the help of a function or debug macro. e.g. could be D("data send ack") where this does your debug display. When it works, you just make an empty function or macro. 3. You will also find it easier to write the TWI primitives as separate functions ( or macros ) . Just look to see how Fleury or others do it. 4. Things like setting the "address pointer registers" are the same for reading or writing. So if you put this code in ONE function, then your code looks clearer and any mistakes are only in ONE place. 5. Your actual problem is that you should use TWEA for a multiple read. And the last read should have NO TWEA. In fact the TWSR should show the problem although I have never actually looked at TWSR after a read. 6. Good Luck. There is no shame in copying / learning from other people's (public) code. I believe that I found the missing TWEA last night, but unfortunately I am still reading FF for all memory spaces. This might mean that I am not writing, or that I am not reading. I would think that the status codes would give me some indication. In case in comes up, I have check that the write protect is disabled on the chip. I will post below all of the code relevant to my project. I have written out as I did because it is easier for me to see the current status of the TWSR register. Once I understand how this works, I will gladly write this out into smaller functions. FYI, I have tried downloading the AVRlib as recommended. Aside from the fact that I couldn't get anything to compile, I was unable to find any code which actually explained how the uC communicates with the eeprom. As you will see below, the status codes as sent to the USART show that the eeprom interface is working properly. But apparently I am missing something. Code. The first chunk will be my initialization. The second chunk will be my write code, and the third chunk will be the USART debugging responses, as should be obvious by following the printf statements. For this example, I wrote the numbers 1, 2, and 3, to memory locations, 1, 2 and 3. Or at least I tried to. Here is the write function, including debug statements to the USART. And here is the read code. I am trying to do a sequential read for memory locations 1, 2 and 3. And here is the USART output for this example. You may be able to sift the wood from the trees but it makes it very difficult for anyone else. You appear to have CV which has perfectly good i2c functions albeit bit-banged. So why not write the four or five lines using the CV library just so you know your EEPROM is ok? Then you can develop as much long-winded code as you like to replace the bit-bang with your TWI code. try this and see if it works. Thanks. I will try this. I would much rather understand how the registers are working, but I think I am going to have to give up on this ideal and take the easy way out. It is not the easy way out at all. You first start with a working program and then make incremental modifications. Of course sometimes you can just get something working first time. But if you can't, just have a look to see how others did it. You may well be able to improve on their efforts. This is how everyone else does it. The TWI is not difficult, you just need to follow the sequence in the data sheet. Again, thanks for your help. But it must be apparent by now that I have pretty much memorized the datasheet and the uC manual. My code is directly from table 75 in the atmega16 manual. And if the TWI were simple, someone would have answered my question by now without referring me to pre-made functions. But I do appreciate the help. And I will gladly use the pre-made functions. Ok. I have read through your code. It looks as if you are doing everything in the correct order. Since you have a lot of UART debug code, there will be at least a 5ms wait for the WRITE to complete at 9600 baud. Your debug output implies that you can address the Slave so the WRITE must have completed. Which is why I suggest that you use some working code to at least confirm you have christened the EEPROM. As I say, the read code looks fine too. I tried to implement your code. I don't have the libraries for your functions. I know you think that it's simple to implement these functions, but I would have to load all the libraries and figure out how to use all the functions. I have re-tried my code with a 20 ms delay after every command. Same results. All status codes say that there is nothing wrong. I tried changing my pullup resistors from 10k to 1k. I've replaced the chip. I'm out of ideas. You have said that this is easy. Is this easy for you? If so then make my code work and I will pay you. Please let me know. I believe those functions are part of Codevision so if you have that compiler then you can add the header file to use the functions. Does your printf() function work via interrupts? or will it hog the processor until the string is finished being sent? Your EEPROM might be timing out waiting for printf() to do it's thing. Try removing those debug lines, and simply read several data locations into an array, then send the contents of the array after the TWI session is complete. to your program to use all the i2c libraries. Of course the full licensed version will include special libraries for several hardware devices as well. I can understand non-native English speakers having a little trouble with the avr-gcc documentation. But the CodeVision package has all the Help, Libraries, Include files and EXAMPLES all in one program. I forgot to ask. Have you got WP on your eeprom. I cannot remember exactly what happens if you try to write to a WP chip. But obviously the data remains a virgin 0xFF. Dont know if it is right to post here, i wish to know what does a eeprom chip lile AT24C512 do ? I mean what is it meant for ? Do you go fishing? The hook is pulled off the lake bottom by a float that is attached to the fishing line. The fish lets you know that it is there by pulling the bobber, the dobber, or the float below the surface of the water. The TWI is like that. It has two lines that are pulled up to Vcc by external resistors. When one of these lines is at logic high, it has been made into an input pin that is pulled high by the resistor. This is called 'the line released'. To make logic low, the line is made into an output, and logic zero is sent to it. The voltage at the end of the resistor is zero. This is called 'asserting'. TWI is a dance of both the AVR and EEPROM asserting and releasing the SDA and SCL lines. Your code should work? What are the TWSR results from each stage of the process? Is your EEPROM wired correctly? The WP pin has to be at ground. Thanks, but im not using it. I saw a friend of mine using the eeprom chip, i just wanted to know what it is ? Im sorry, but i could not understand, what is AT24C512 ? I know its an eeprom chip but what is it used for? I would think that if you know that the AT24C512 is an EEPROM device, and if you know what an EEPROM device is, then the answer to that would be pretty obvious...? If not, have you tried Google? Or Wikipedia? EEPROM (also written E2PROM and pronounced "e-e-prom", "double-e prom", "e-squared", or simply "e-prom") stands for Electrically Erasable Programmable Read-Only Memory and is a type of non-volatile memory used in computers and other electronic devices to store small amounts of data that must be saved when power is removed, e.g., calibration tables or device configuration. Most AVR have onboard EEPROM, but not much. For example the ATmega328P has 1K. The chip you mention has 64K.